Flint Lockwood thinks he's a genius. But none of the things he invented are things that make sense or are useful. However, he has the support of his mother but when she dies, he's left alone with his father who thinks he should give it up. 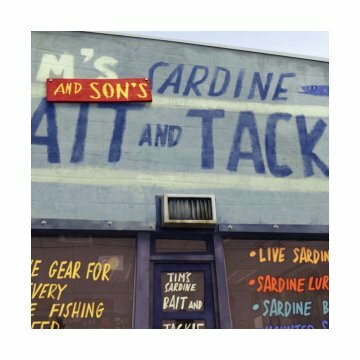 When the community that he lives in, is in an economic crisis because their primary source of income a sardine cannery was shut down, Flint decides to try his latest invention, a machine that can turn water into food. But something goes wrong and the machine ends up in the atmosphere. Later it starts raining food. And so the shifty mayor tries to use this as a way to help their community. But when Flint sense something's wrong with the machine, the mayor convinces him to ignore it. 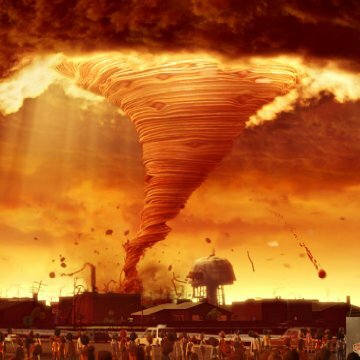 But as Flint predict chaos ensues. When Flint is in his lab "visualizing" with the 3-D holographic images, he's wearing glasses with red and blue lenses. The glasses are a nod to the original 3-D movies from the 1950s to the late 1990s which required glasses with red and blue lenses in order to make the 3-D effect. 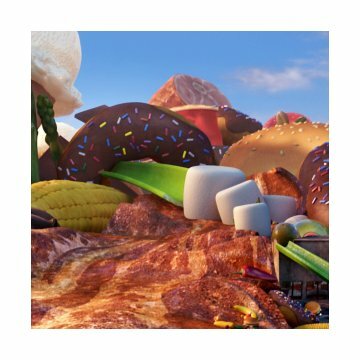 Nowadays, movies such as Cloudy with a Chance of Meatballs use a different form of 3-D technology that uses "polarized" rather than colored lenses. Revealing mistakes: The radar screen on the portable Doppler radar sweeps counterclockwise. It should be clockwise. Living in the UK, I had never heard of the children's book Cloudy with a Chance of Meatballs and to be honest, I thought it sounded a little too peculiar and odd for my tastes going by the title and trailers. However, being a big fan of animated movies, I decided to take the risk and judge the movie for myself; and I'm so glad I did. 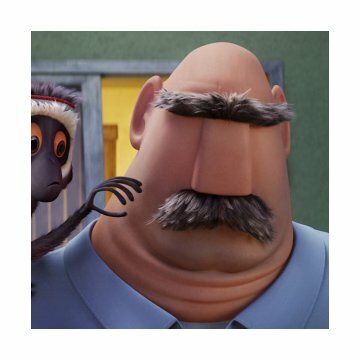 Not only does Cloudy with a Chance of Meatballs have a quirky, thoughtful and imaginative storyline, it also exudes humour through its likable characters, discerning messages and vivid visual style. Telling the tale of a young man's quest to become an inventor, the film shies away from numerous Disney clichés creating a unique and original world full of colour and inspired characters. Unlike most Dreamworks animations, the characters are fully developed and rounded without the need for countless A-list celebrity voice-overs. The screenplay is similarly outstanding in terms of humour with countless laugh-out-loud moments that will appeal to both adults and children alike. The animation and visual style of the film isn't up to the stunning beauty of the latest Pixar movies such as Ratatouille or WALL-E but it certainly exudes a similar level of ingeniousness, creativity and originality as seen in such movies. Albeit, amongst the wild plot and genuinely hilarious dialogue lies a subtle moral tale of parental recognition, portion sizes and personal confidence. 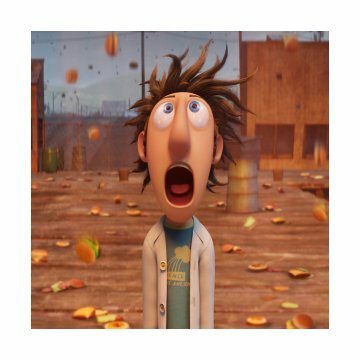 Cloudy with a Chance of Meatballs took me by surprise, I went into the cinema expecting an average computer generated movie incomparable with today's best of the genre and came out astonished by the sheer creativity oozing from every aspect of the film.